In this very moment, you are seamlessly connected to the cosmos. The same deep intelligence that streams through the rivers flows through your bloodstream, and the same breath that nourishes your cells animates the life of a rain forest. Although it may seem like you are separate from the world “out there,” in reality your body and the universe are made up of the same molecules, obey the same principles, and are inextricably connected. More than 5,000 years ago, the Vedic sages of India understood what quantum physicists are just beginning to recognize: we are all part of an infinite field of intelligence that orchestrates all of the activities in the universe. With every breath, we exchange our personal energy with the energy of the universe, and we are constantly taking in impressions via the five sense organs—the ears, skin, eyes, tongue, and nose. In Ayurveda, sensory impressions are considered crucial to health. Just as the food we eat creates our bodily tissues, our sensory impressions determine the quality of our thoughts and emotions. If we want greater physical and emotional well-being, we can use sounds, feelings, sights, tastes, and smells to balance and heal our selves. At the Chopra Center’s Perfect Health program, patients learn how to awaken their inner pharmacy using the tools of the five senses. Here are a few suggestions that you can use in your own daily routine. Every sound has a physiological effect. When you listen to a beautiful piece of music or inspirational words, a cascade of pleasure-producing chemicals course through your body, supporting health and wholeness. In contrast, studies of urban environments show that people subjected to ongoing noise pollution are more likely to suffer from stress and lowered immune function. Ayurveda recognizes that music is a valuable therapeutic tool for balance and healing. The specific sounds that will benefit you most depend a great deal on your mind-body type, known as your dosha in Ayurveda. If you don’t know your dosha, take the Chopra Center’s complete dosha quiz online to find out. It is also important to simply tune in to your body and discover which sounds are healing and inspiring for you. If you feel refreshed, joyful, and alert, the music is working. The visual impressions you take in have a surprisingly profound effect on your mind, body, and emotions. Watching violent movies or television shows triggers your body’s stress response, creating jittery cells and suppressing the immune system. In contrast, looking at peaceful or beautiful images creates a cascade of soothing neurochemicals in the body. Surrounding yourself with images that uplift your spirit is as important for your health as nutritious food. Spending time in nature is healing for your mind, body, and soul. When you view a gorgeous sunset, look into the eyes of your beloved, or see a magnificent painting, you cultivate the power of your inner pharmacy. You can also use a process known as neuroassociative conditioning to consciously link a healing response to a given smell. First choose a favorite aroma and inhale it whenever you are feeling relaxed, calm or happy. Your body will begin to associate pleasurable feelings with the smell. Before long, just a hint of the fragrance will invoke your inner healing response. Ayurveda categorizes food into six tastes: sweet, sour, salty, pungent, bitter, and astringent. Each of the tastes has a unique effect on our mind-body physiology and provides the flavor that makes eating a pleasure. If you include the six tastes in a meal, you will get the nutrients you need and will feel completely satisfied and energized. If one or more of the tastes are missing from a meal, however, you may feel full but unsatisfied and find yourself snacking two hours later. You can find more in-depth information on the six tastes here. Touch is fundamental to health and well-being. When your skin is stimulated by loving touch or massage, it releases many healing chemicals that enhance immune function, improve circulation, and promote restful sleep. You can give yourself the healing benefits of touch every day with an Ayurvedic self-massage or abhyanga. For those who are feeling excessively stressed and ungrounded, use heavy, warm oils such as sesame or almond. If you are feeling irritated or overheated, try cooling oils such as coconut, sunflower or olive. Finally, if you are feeling sluggish or lethargic, massaging yourself vigorously with oils such as safflower, sunflower or mustard will help invigorate you. Being by pouring a tablespoon of warm oil onto your scalp, vigorously working in the oil. Use small circular strokes to massage your entire scalp, as if you were shampooing your hair. Energetically massage your legs, using circular motions at the ankles and knees, and back-and-forth motions on the long parts. With the remaining oil, thoroughly massage your feet, giving your toes extra attention. Massage your body with love and tenderness—your state of mind is as important as your technique in creating a healing experience for yourself. Leaving a thin, almost imperceptible layer of oil on the body is extremely beneficial, toning the skin and warming the muscles throughout the day. It’s therefore recommended that you use very mild soap and lukewarm water to rinse your body after the massage. Upayoga is a simple yet powerful system of exercise that activates the joints, muscles and energy system. Based on the sophisticated understanding of the body’s mechanics, Upayoga releases the inertia in the energy and brings ease to the whole system. Within the human system, the energy flows along 72,000 pathways called nadis. At the joints, the nadis form energy nodes, making the joints a storehouse of energy. Upayoga activates this energy and also lubricates the joints, creates instant sense of alertness and liveliness. Upayoga essentially means “sub-yoga” or “pre-yoga”. Because of its many immediate and evident benefits, the word upayoga in Indian languages is commonly used to denote “usefulness”. Bachelor of Ayurvedic Medicine & Surgery (B.A.M.S. ), a Master of Ayurvedic Science (M.A.Sc.) and his academic and practical training includes the study of allopathic medicine (Western Medicine). In the U.S., he is based in Albuquerque, New Mexico, at the Ayurvedic Institute, which he founded in 1984. Vasant Lad is the author of numerous books and respected throughout the world for his knowledge of Ayurveda. You’re known to say that a good Ayurveda practitioner should understand and practice yoga and that a Yogi should be familiar with Ayurveda. Why? Ayurveda and yoga, both are very ancient healing systems that originated in India. Both have roots in Vedic philosophy and help to achieve a wholesome happy life. Yoga is a union of the lower self with the higher self. The goals of Yoga and Ayurveda are the same; Dharma, Hatha, Karma and Moksha. Dharma means righteous duty. Hatha means monetary success. Karma means fulfillment of positive desire. And Moksha means enlightenment, realization, self realization. In order to achieve all four pillars of light, a person must have a healthy body, mind, prana, and consciousness. These can be achieved by combining Ayurveda and yoga. Ayurveda and yoga are concurrent and inherent healing systems. Yoga heals through Asana, Pranayama and meditation. Ayurveda heals through panchakarma (detox program), rejuvenation, herbs, and proper diet and lifestyle regimen. That is why a Yogi who doesn’t know Ayurveda, he is a half Yogi and Ayurvedic physician who doesn’t know yoga, he’s a half physician. Ayurveda and yoga go hand in hand. They are two sides of the same coin. Ayurveda says that a poor digestion is the root cause of many diseases. However, modern doctors rarely ask about diet and digestion. Why is digestion so important in ayurveda? Ayurveda talks a great deal about digestion and Agni. Agni means gastric fire, enzymes, and metabolism. A healthy strong Agni is really important for maintaining health. If Agni is low, then food will not be digested properly and undigested food will create toxic morbid metabolic waste. Undigested waste products create AMA – an ayurvedic term for toxins. According to ayurveda, Ama is the root cause of all disease. Ama is very sticky by nature and clogs up internal channels in the body. Toxins accumulated in the body weaken the immune system and we become vulnerable to infections; they adversely effect our digestion and eventually can lead to serious neurological problems. As you can see, low digestive fire (agni) and excess production of toxins in the body is the main reason that we get sick according to ayurveda. Ayurveda put a great emphasis on maintaining a healthy efficient digestion and elimination. If you enjoyed go check out the full version on mindbodygreen ! Light consists of the seven colour energies: Red, Orange, Yellow, Green, Blue, Indigo, and Violet. Each colour is connected to various areas of our body and will affect us differently emotionally, physically, and mentally. By learning how each colour influences us, we can effectively use colour to give us an extra boost of energy when we need it. If you wake up in the morning with little energy, or you need to prepare for a business meeting, this is where the power of colours can help. All you have to do is reflect on the type of day you have planned; choose the colour that will help you meet the demands of the day; and then absorb that particular colour. It’s like fueling your system with the right kind of gas. This is a mentally relaxing colour. Blue has a pacifying effect on the nervous system and brings great relaxation. Ideal for sleep problems, and hyper-active children. Connects us to holistic thought, and gives us wisdom and clarity enhancing communication and speech. I’ve recently moved in a fully charged wooden apartment and I had no clue where to begin on how to decorate this new environment with wooden floors and wooden walls, wood everything? I began searching online for inspirational images that would guide me in my process of decorating this new place and making it feel like my new home, my place of nesting in comfort and beauty. The inspiration and the images helped me visualize how wood works with other materials and patterns. Everything looks so cozy and comfy! Gotta love wood!! Touching your legs and bringing finger tips down gently, feel your touch and feel your body. Yoga is never easy and if it seems to be you are only going through the motions in the physical form. Simple poses can be extremely more beneficial because they permit you to become one with the pose. A simple pose permits us to empty and to merge the senses into one cosmic beam, attaining a peace from within that is essential to the essence of yoga. With each inhalation fill your body with unconditional love. Exhale your prana, your true essence, your unconditional love into the universe. To all living things, from the smallest strand of grass, to the shinning sun, to all of humanity. This begins with ourselves, our family and our friends and extends to all the people surrounding us. If your are able to build this spiritual muscle and surrender first and foremost to self-love. If your are able to connect the mind and the heart, it will be expressed in your life and extend to a level you can not even imagine. This intention, understanding and wisdom will help mount actions that will have a greater power in life then you can imagine. Happiness can be shared only if we are willing to be vulnerable with ourselves and others. We must let go of the fear to connect and to take our masks off, starting from within our own selves. If we cannot be open with ourselves, how can we be open with others? Truth is essential even when it hurts because pain creates cracks which permit you to grow with light shining from within the cracks. We are multidimensional beings and our heart, spirits and consciousness is meant to grow. I woke up this morning, got dressed and out the door. Cafe and provisions was my mission! Walking to the convenience store I meet this wonderful soul for the 2nd time named Mike. Mike does not fit into what we all like to call normal. His intellectual functioning is measured below average by standard test. But Mike can not be measured by any standard test because there is nothing standard about him. He shared a great gift with me this morning, he was fully present, in full acceptance of my being and he had a will and a kindness beyond anything I`ve ever experienced. His eyes pierced through my soul and we saw and recognized each other has humans. I felt my heart open and crack, sadness and gratitude started pouring out. I asked myself why was Ì so sad and so touched by his kindness and his presence? It stirred up so much emotion in me but why? Mike had no agenda, he was kind to everyone simply for the purpose of being kind because this is who he was as a person. For the past 2 years I`ve felt like life passed me through a blender. I had endured so much negativity, lies, deception, cruelty and a great deal on psychological level. I never cried and mostly got up, kept my head high and continued to do the best I could do everyday. Not searching to understand why me? Because why not me? We all have tough month, days or even years but it was always a conscious decision for me to not take things to personally and keep everything moving until the sun would be shinning again. The sun always rises after a dark night. Going inside to buy milk, I spoke with the other clerk and I was obviously shaken up emotionally. I spoke about my experience past and present with Mike and how it touched my heart to another level of depth. He shrugged and made it seem it was because Mike was so simple. I answered without thinking; It is not so simple to be simple! I left him with those words un-sounded by his words. It takes authenticity, transparency, vulnerability to be and give this amount of present to another human being.When you achieve this spiritual level the kindness, your heart radiates so much love to others. That to me is choice and there is always great power in choice. Something else hit me about Mike, he himself like all of us had been wronged in not being honored for who he was, not being accepted and human cruelty that seems so free in periods of our lives mostly when everything is NOT on the right track. I was so inspired by the fact that he did not repeat behaviors of hate, none trusting and closing up on life and in return to himself and others. On the contrary he shinned his light because the world needed more of this. The world is full of suffering enough that violence, psychological violence will not be resolved with more violence. Leaving I put my arm on his shoulder and I thanked him for shinning his light. And he simply replied by saying thank-you so much Miss and YOU take care of yourself. I was bawling on the inside. It is the beginning of letting go period for me, this was my realization this morning, the storm had passed and could relax. My efforts were all starting to manifest finally and I could feel safe enough to let go. Forgiveness and changing the world with kindness certainly is a great inspiration. Letting my armor down is not easy but I am in a process. With his pur heart of kindness, he shinned his light into the cracks of my heart that were not healed and this was a moment of awareness for me. A deep awakening moment. I am no longer naïve but I will not allow the negative experiences take my innocence. This was a beautiful lesson and I am full of gratitude for Mike and his wisdom. I will continue to practice love everyday and I will continue to evolve and to blossom with all the good and all the bad. In nature, form follows function. It should come as no surprise then, that one of Ayurvedic and Chinese medicine’s most treasured herbal medicines, Gotu Kola (Sanskrit: Brahmi, Latin: Centella asiatica), is highly reminiscent of the shape of the human brain. After all, it has been revered for thousands of years for its ability to enhance cognitive function. 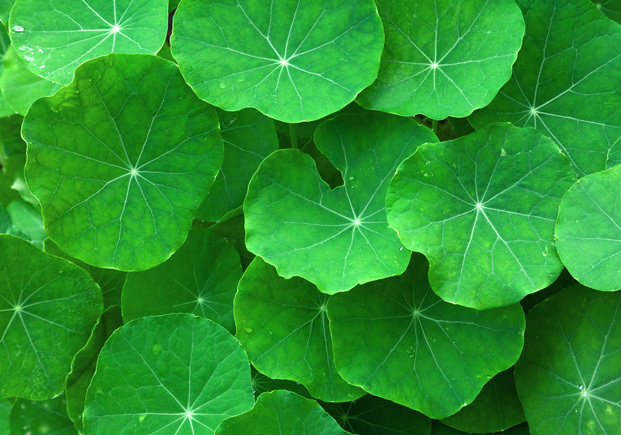 But Gotu Kola’s impressive list of benefits go much further than that—in every sense, this herb is a veritable panacea of healing; a true adaptogen (a term used to describe herbs that have a balancing and harmonizing effect on the mind, body and spirit). For this reason, it was highly prized in both ancient India and China, with references to the plant showing up in classical Ayurvedic and Daoist medical texts.In both countries and across Asia on the whole, Gotu Kola was known as a longevity herb. The Daoist master and herbalist Li Ching-Yuen was, in his time, a famous proponent and user of the plant. Ancient Chinese medical texts report that he died at the ripe age of 256 years old and attribute his longevity in large part to the use of Gotu Kola on a daily basis. While the accuracy of these records is clearly up for debate, the fact is that Gotu Kola is a well studied herb, and the vast majority of its healing and therapeutic properties, including its ability to measurably prolong life, have been documented and validated by the scientific community. It’s life-extending properties are most likely due to a synergistic combination of its powerful effects on the mind, body and spirit—in every sense, the whole person. The plant’s benefits range from greatly improving memory and restoring brain cell and nerve function to improving blood quality and circulation, restoring digestion and speeding the healing of wounds. Of particular interest in our fast-paced, intellectually demanding modern world is Gotu Kola’s ability to enhance nearly every aspect of mental functioning. Typically herbs or substances that can achieve such feats are highly stimulating; however, Gotu Kola is centering, which makes it ideal for anyone looking for a cognitive boost without any of the unwanted and imbalancing side effects of stimulants. In one study, children who took a half a gram of Gotu Kola extract powder every day for one year demonstrated significant improvement of their intellectual level. After six months, there was a substantial improvement in intelligence, cognitive function and concentration. In Ayurvedic medicine, Gotu Kola is classified as a rasayana, or rejuvenative, due to its ability to restore functioning, balance and health to many parts of the mind and body. For example, it is an extremely healing herb for the nervous system and has been shown to repair and restore axons, which are used to transmit nerve impulses throughout the brain and body. As such, it has been used as an anti-anxiety, anti-stress and anti-insomnia medicine throughout its long history of human use. The ability of Gotu Kola to improve blood quality and circulation is likely one of the main components of its rejuvenative effects, as our blood comes into contact with and nourishes nearly every single area of our mind and body, supplying oxygen and other essential nutrients. Gotu Kola has long been a favorite herb of Daoists, monks, yogis and sages due to its unique cerebral effects. Many Ayurvedic texts reference the herb’s spiritually enhancing properties, poetically referring to it as the ‘Herb of Enlightenment’. Meditators in particular have sought the plant out for its ability to harmonize the right and left brain hemispheres, which produces a heightened state of awareness, commonly seen in people demonstrating what Mihaly Csikszentmihalyi has popularized as flow states—states where one becomes intensely absorbed with the activity at hand, in which learning and brain circuitry are significantly enhanced. Gotu Kola grows widely throughout Central Asia and parts of Africa and is native to China, India, Indonesia, Japan, South Africa, Sri Lanka, and various islands in the South Pacific. It’s a small green plant similar on a genetic level to carrots that thrives in wet areas and is used in much the same way as one might use cilantro or parsley in the West. Many health conscious locals add Gotu Kola leaves to salads as a general life-enhancing tonic and preventative. 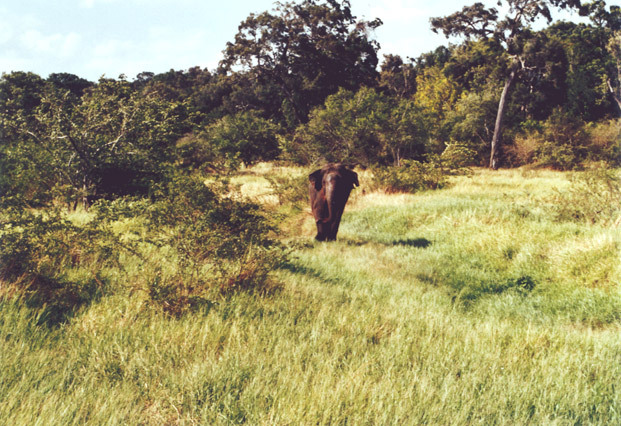 So the story goes, Sri Lankans noticed elephants regularly eating leaves of the plant, and after trying it themselves, discovered the quite noticeable and profound effects it had on memory and lifespan, which gives credence to the fact that the elephant has been mythologically associated with these qualities throughout human history.